Size Choose an option25" x 20"20" x 25"20" x 20"16" x 25"16" x 20"16" x 16"10" x 20"
The Kleen-Gard High Efficiency Air Filter takes Research Products baffle filters to the next level by incorporating a second, inner frame of baffles. Their performance is superior and their value is better compared to similar filters on the market. 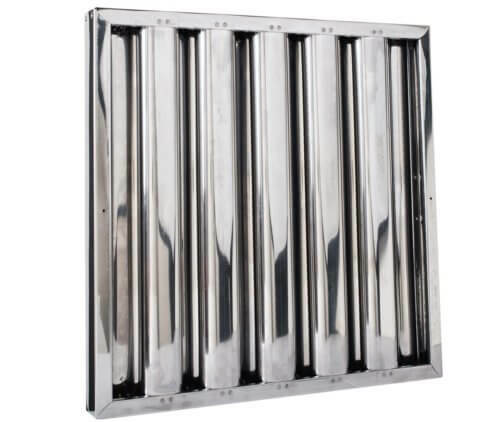 Kleen-Gard HE Baffle Filters increase existing range hood grease removal efficiency to over 80% of particles sized 8.5 microns or higher. 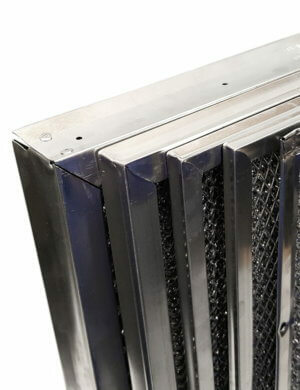 Available in aluminum and stainless steel, these filters can handle a wider range of applications than standard Kleen-Gard filters, including charbroiling, fryers, combination gas ovens, griddles, and upright broilers. Like other Kleen-Gard filters, HE filters are washable with hot water and dish soap, come with built-in bottom hanging hooks, and optionally include snap-in handles. Upgrade to locking handles for compliance with Maryland regulations. 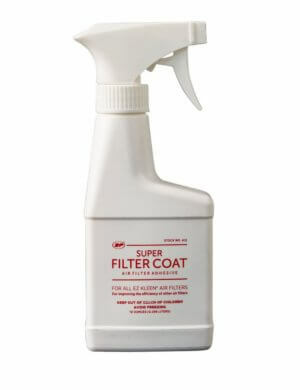 Enhance the performance of this filter with Super Filter Coat Adhesive.